With each release of an Uncharted game, Naughty Dog won the hearts of their fans around the world and this probably one of the biggest reasons why Uncharted 4 is one of the most highly anticipated games on the PS4 in 2015. And with each new release fans are expecting better/improved graphics complementing some very fast gameplay at 30 fps and 900p. That’s some demand considering that the PlayStation is still a console. 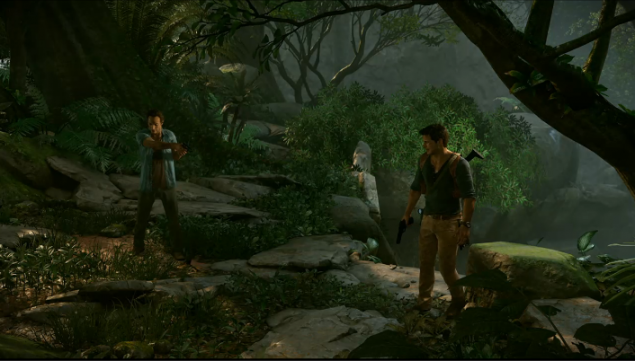 But Naughty Dog doesn’t disappoint. They’re going to bring a cinematic experience to the fans with this release. It will possibly just be like watching a blockbuster movie, the difference is that it’ll be a blockbuster game. That will sound comforting to PS4 owners and game fans. In addition to this, Frank also explained how the shift from PS3 to PS4 allows much more freedom to developers in making sure that a better experience is communicated to the mass gaming community. He also tipped through this that they’ll get to the cinema-like experience in the future versions of the PlayStation (probably the PS5). Well if this happens the this is definitely a break-through and the movie industry should be scared of such a time when Animation overtakes it. This does call for worry and RND on their part as we haven’t seen nearly as much innovation in movies as we have in gaming.